Wind plays a major role in the life of a Portable Offices Project Manager! With so many jobs involving the use of cranes, wind speed and wind gradient have become an integral part of the daily fabric of life for Dave. The correct wind speed can mean the difference between a job being completed early, on time or late as this is the deciding factor for crane drivers on whether a portable building can be lifted on to site or not. Dave Hought is one of three project managers that make-up the Portable Offices project management team across the UK. 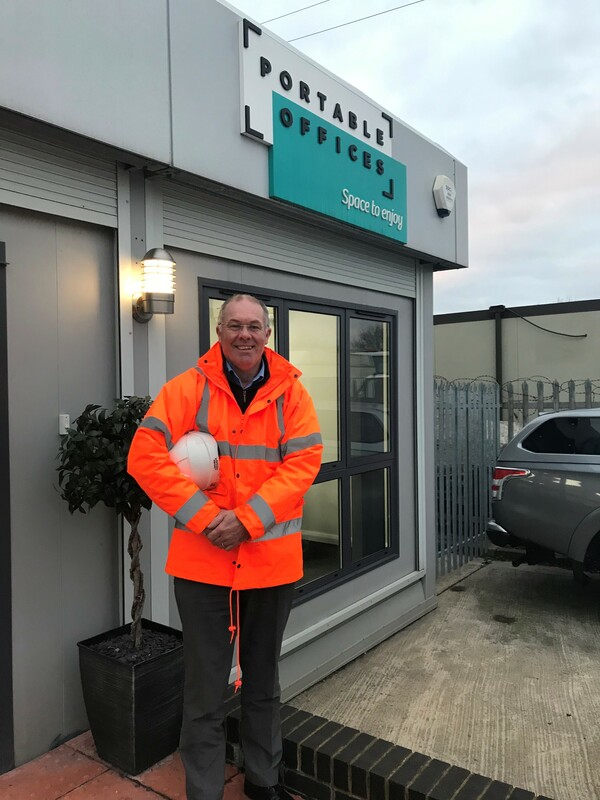 Based at Leeds office, close to his home, he covers a large tract of the UK from Scotland, the North East of England down through the East of the country but, when the need arises, can literally be sent anywhere in the country. His role essentially involves planning, organising, leading and controlling a contract. He becomes involved after the sales team win an order and will attend a site visit at the outset to do a pre-site evaluation. This involves confirming with the client about what is required and checking that the quote provided covers everything necessary. He also goes into detail about any extras and signs off on the drawings and paperwork bringing the contract to life. Dave’s typical day starts out on the road at 6am and will take him either into the office or out on-site. He starts off each project before handing over to the site supervisor. He then attends an interim visit to check on progress and then attends the site at handover to check everything has been undertaken to the client’s satisfaction. He said: “I am responsible for transport, cranage, groundworks and the health and safety of our team on site. Critically, the buck stops with me. “It sounds stressful and it can be. Some jobs go more smoothly than others and when you are using heavy machinery and tall cranes, there are factors that are sometimes outside our control, like the weather. Dave admits there are also occasional nightmares, but reinforces that, as with everything in life, it is how these are handled that matters.